This week’s work of the week is from Adam Hackman! 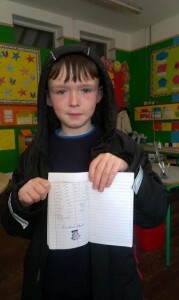 Adam scored 100% in both his spellings and tables test! He worked extra hard to learn his 7 times tables at home every night! Well done Adam Great Work! Hope you get the same next week.